I've found an article on the subject, alas all in Russian. Nevertheless, there are tons of hi-res pictures and even good 3-views. 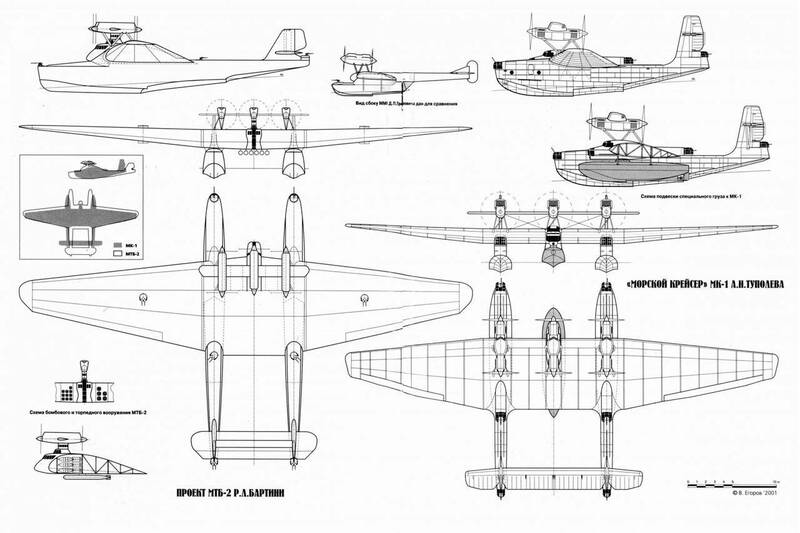 The article is covering mostly the Tupolev's KM-1 a.k.a ANT-22, which was actually built and flew quite successfully. 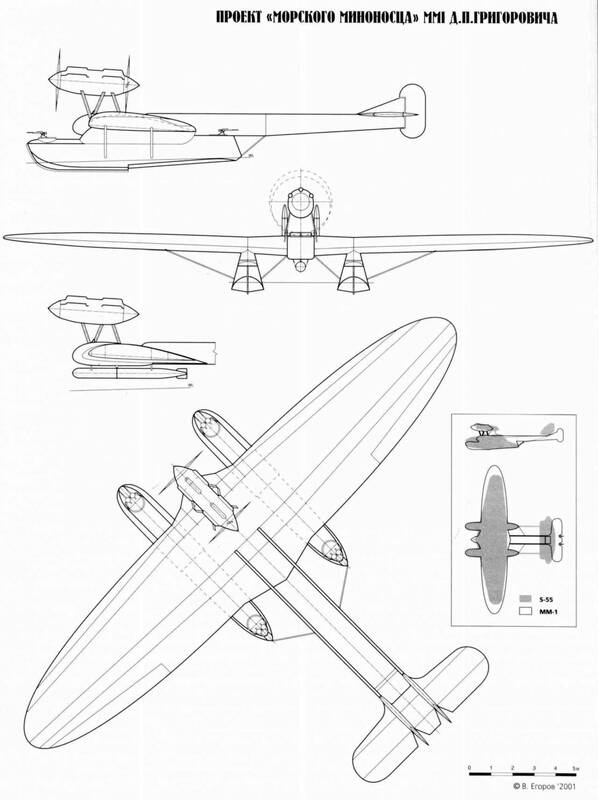 Also there is some info about a project of torpedo bomber designed by Grigorovich and a heavy maritime bomber designed by Bartini. And here's its English translation made with Google translator (hence the weird terms and sentences). Let me know if you have difficulties understanding it, I might be able to clarify some things. Blimey, another flying boat I didn't know anything about...! What a find, well done, and what a series of pictures proving it flew! Thoughts: how many more are there....?